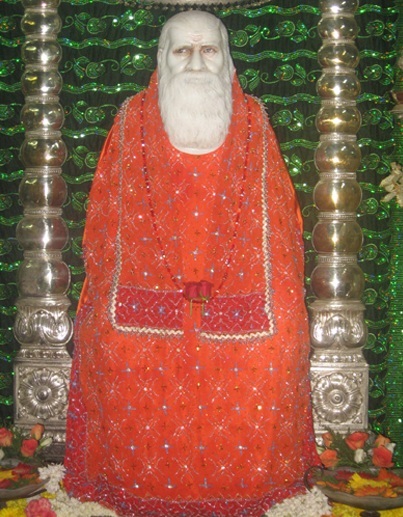 To celebrate the New Moon on the 1st of every month according to Sindhi calendars the Aarthi of Puj Guru Nanak Sahib and Puj Jhoolelal Sai is performed. In the month of May, five days are celebrated with great enthusiasm as the Anniversary Celebration of Puj Shahenshah Baba Nebhraj Sahib. 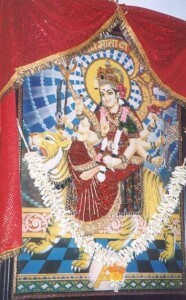 Navratri celebrations of Durga Mataji take place during March/April and October/November at the temple. These celebrations also coincide with Cheti Chand, the Sindhi New Year and Diwali, the festival of lights. The Anniversary Celebrations of Data Dastagir Badshah of Baghdad are held every year and this celebration lasts for 40 days. Ganesh Chaturti is celebrated at Sufidar by bathing the big brass statue of Lord Ganesh in milk & water. Krishna Jayanthi is celebrated too by decorating Baby Krishna and remembering his love for butter. 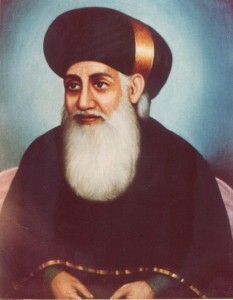 The Anniversary of Baba Gopaldas & Varsi of Garib Nawaz of Ajmer are also marked celebrations of the temple. Maha Shivratri is celebrated with Bhang (a special juice) being distributed to the devotees along with the usual Prasad. Christmas & New Year are also celebrated with divinity & serenity with Puj Dada Rattanchand heralding the birth of our Lord Jesus Christ and bring in each New Year. The Madras Pinjrapole situated at Otteri, Chennai shelters cows. Cows that are sold to slaughterhouses are bought by some of the devotees of the Sufidar Trust and brought to Pinjrapole. Dry cows who are not in any condition to yield milk, stray cows and sick cows too are brought to this shelter. A prayer service (Duaa) which invokes the blessings of Data Dastagir Badshah of Baghdad is held daily at the Sufidar temple at 1300 hrs – 1 pm. Every Saturday at 1:40 pm Puj Babaji’s bath takes place at the Sufidar temple after which holy water (Jal) is distributed to all the devotees present at the temple. Every Saturday at 10 pm and Sunday 7:15 pm, Aarthi of Puj Shahenshah Baba Nebraj Sahib is performed where devotees take active part and are allowed to perform the Aarthi in honour of Puj Shahenshah Baba Nebhraj Sahib.